A displaced dog is produced every 2 seconds in the world and 99.8% of them would no longer return home, according to statistics. Posting “Lost Dog” in the street or seeking help in the community, Weibo, or circle of friends is proved to be useless because the probability for a person that sees the dog and post at the same time is nearly zero. 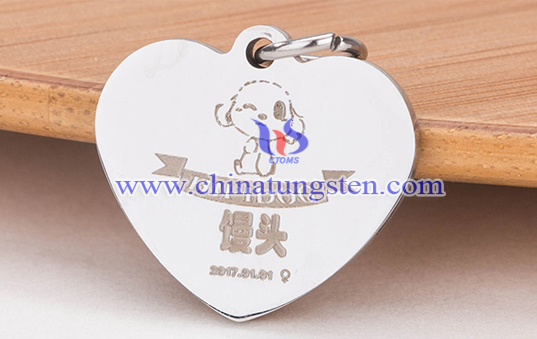 Teddy, Poodle, Schnauzer, Bichon, Golden Retriever, Bulldog, Labrador, Alaska, Bianmu, Husky, Corgi, Samoyed, etc., according to the different pets, engraved with different dog patterns and matched with corresponding text, the heart tungsten dog ID tag would be unique for your pets. 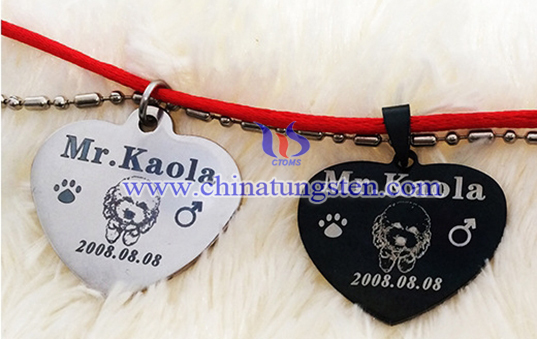 In addition, this dog tag is made of tungsten alloy, which ensures high quality. 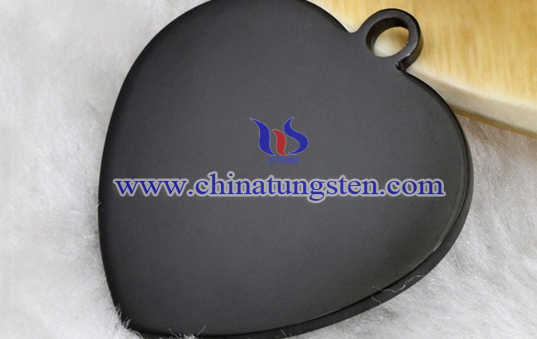 If you have any interest in heart tungsten dog ID tag, please feel free to contact us by email: sales@chinatungsten.com sales@xiamentungsten.com or by telephone:0086 592 5129696.